The New Year is a great time to make healthy changes – start the year off with a new attitude, pledge to get more activity, eat better or do something to better yourself. Since we spend all day talking about cancer, we decided to kick off the new year with the goal of helping you learn about cancer risk and what you can do to reduce your risk. This blog series will focus on some common risk factors and attempt to bust some myths and help you see ways to improve your health and reduce your cancer risk. Have you ever wondered why your healthcare provider recommends a certain cancer screening test but not another? In part 6 of this series, we will look at what makes a good cancer screening test. Screening tests are used for common cancer types – the chances are good to help lots of people with this test. There are good treatments for the disease when found early – if there are no good treatments,what is the point of finding it early? We don’t have good screening tests for most cancer types. When your healthcare provider orders a screening test, they do not think you have cancer.This is an important caveat. If they suspect something is wrong, the test becomes a “diagnostic” test instead of “screening”. What makes a good cancer screening test? A good screening test is safe. It should be considered to have a low risk for complications. A good test must be reliable in finding the cancer if it is there (called sensitivity) AND find no cancer if there is no cancer (called specificity). This is reflected in false positive and false negative rates. What are the potential problems with cancer screening tests? False positives: A false-positive result occurs when the test finds something abnormal, even though there is no cancer present. This results in unnecessary anxiety, worry and more tests that are possibly higher risk (think: biopsy). False negatives: A false negative result occurs when the screening test does not find any sign of cancer, but cancer is actually there. This leads to delays in diagnosis and treatment and this is the exact thing screening tests are designed to prevent. The bottom line is the most successful test is the one that people will get. If the test is painful or very inconvenient, it will be difficult to get people on board to have the test. Case in point, the colonoscopy. It is the best test to find pre-cancers in the colon, but the prep needed for the procedure has earned a reputation that deters many people from having this test. Now that you understand cancer screening tests, learn more about what tests are most appropriate for you. Talk to your provider about what tests you should have. It is just one step of many that you can take to reduce your risk. Carolyn Vachani is an oncology advanced practice nurse and the Managing Editor at OncoLink. She has worked in many areas of oncology including BMT, clinical research, radiation therapy and staff development. She serves as the project leader in the development and maintenance of the OncoLife Survivorship Care Plan and has a strong interest in oncology survivorship care. She enjoys discussing just about any cancer topic,as well as gardening, cooking and, of course, her sons. 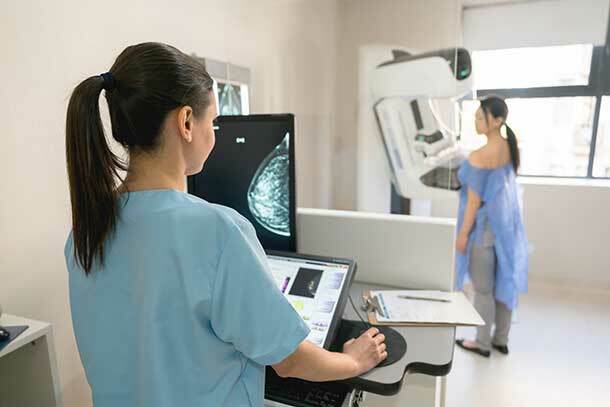 This entry was posted in Homepage, OncoLink News, Understanding Cancer Risk and tagged breast cancer screening, cancer risk, cervical cancer screening, colorectal cancer screening, lung cancer screening. Bookmark the permalink. ← Celebrate World Cancer Day with a Commitment!